Thanks to all of our book-loving members that came to our inaugural Lit Reads Book Club meeting! For a long time, we’ve had customers longing to join fellow book-lovers in literary discussion, but struggling to find book clubs to call home. 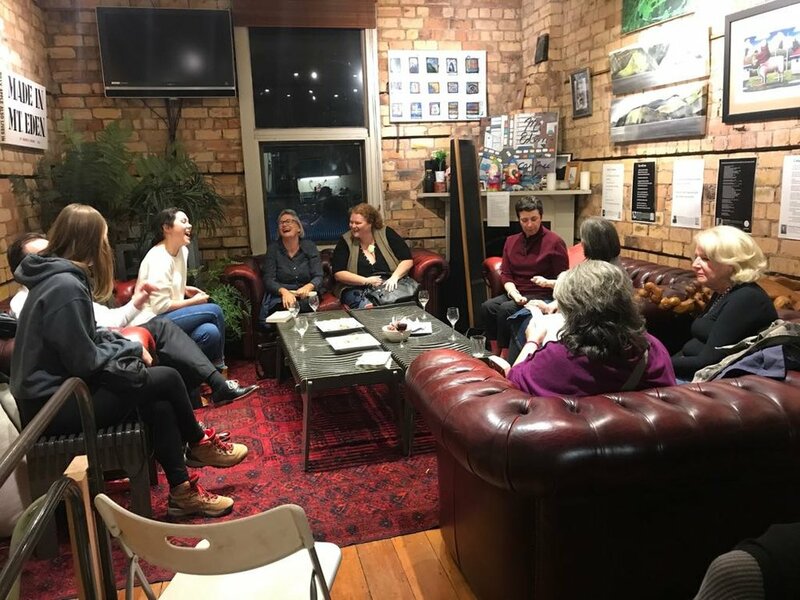 It felt like we had the perfect solution: a cozy upstairs space with brick walls and plush leather couches, a Village Winery across the road (for the essentials), well-read and enthusiastic customers and of course, lots of books! It was great to see a mixture of new and familiar faces come together to discuss the irreverent Man-Booker International shortlisted title, Frankenstein in Baghdad. 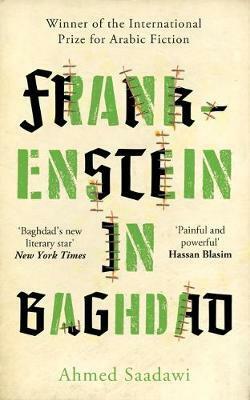 Gory, layered and exhaustive in its cast of characters, Frankenstein in Baghdad explores the impact of war on different intersections of Iraqi society, and sews together a political parable packed with nods to local and literary myths. Starting the discussion with the title; its military green letters stitched into a beige background, our book club members dug into the relationship between Mary Shelley’s Frankenstein and our contemporary monster, similarities between this and other political satires, the realities of daily life during war, and whether or not humour becomes lost in translation. Our members all brought interesting ideas and new ways of thinking about the book to our discussion. Some had gone so far as to researching the Jewish architecture discussed in the book; others providing political and historical context to the post-War Iraq the book is set in. The best part of any book club is watching the ice crack and hearing all of the thoughtful, intelligent and engaging conversation that takes part both during and after the session. Watching people who are connected by Time Out and their love for books engaging in discussion and sharing emails and phone numbers was an encouraging start for our book club. Our mission with Lit Reads is to connect communities of readers and hear new and varied perspectives on fresh, contemporary titles. If this sounds like you, please email Suri at books@timeout.co.nz for more information. It's a year of literary blockbusters on the Man Booker radar. The judges have assembled an undeniably juicy selection, and we were pleased to see so many team favourites on the list— but we're always hoping to glean some undiscovered treasures. Elmet by Fiona Mozley is the intriguing pick of the bunch, and we're more than a little biased. Mozley is a 29 year old debut novelist and part-time bookseller from York. Elmet is due for November release. All other titles available now! This is Time Out's new online home. There are lots of great things to see. Book reviews and community news can be found on our new blog. Check out Bestsellers & Staff Picks to see what the Time Out team are reading right now. We've got some very exciting new Gift Services! Bespoke book subscriptions, gorgeous gift bundles and even a Magic Gift Service. You'll never be short of gift ideas again. Most importantly, we've curated our favourite books for you. Shop Categories to see what's new and notable in your favourite genre, or jump straight to our Full Catalogue if you know what you're after. Our Guide to Online Shopping is a handy tool. Now you and your loved ones can get the best of Time Out's service, from anywhere in the world. We hope you're as excited as we are!